Advanced materials and composites are very important for modern sciences, technologies, techniques and industrial development. Intense chemical, physical, mechanical researches and development of modern numerical approaches and methods of mathematical modeling are required to develop and improve their properties. These PHENMA 2016 proceedings are devoted to the development and solution of different problems concerning the framework of the pointed research directions. The book presents processing techniques, physics, mechanics, chemistry and applications of advanced materials, and also issues of industry and management. The book covers broad classes of modern materials, structures and composites with specific properties. It presents nanotechnology approaches, modern piezoelectric techniques, physical and mechanical studies of the structure-sensitive properties of the materials, modern methods and techniques of physical experiment, etc. A wide spectrum of mathematical and numerical methods is applied to the solution of different technological, mechanical and physical problems, which are interesting for modern applications. Great attention is devoted to the development of modern devices and goods with proper sizes, changing from nano- to macroscale ranges and possessing very high accuracy, longevity and extended possibilities to operate in wide temperature and pressure ranges. Industrial applications and modern requirements, problems of investments and management are necessary elements linking the introduction of modern materials and technologies. 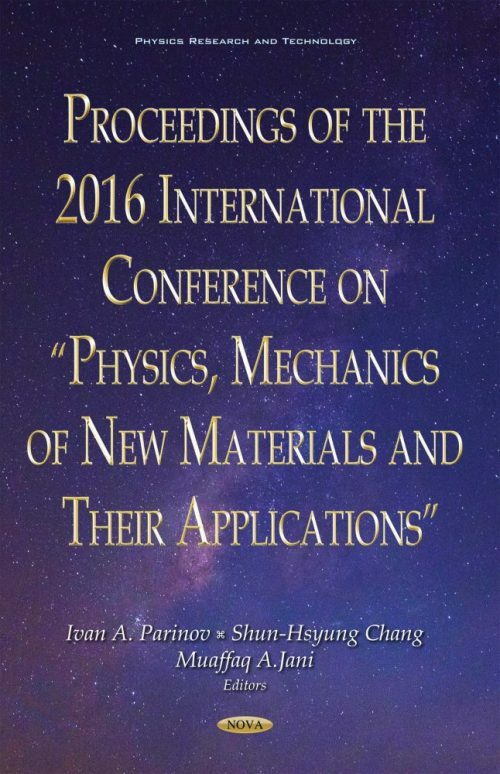 This collection presents selected reports of the 2016 International Conference on “Physics, Mechanics of New Materials and Their Applications” (PHENMA 2016, July 19-22, 2016, Surabaya, Indonesia), http://phenma2016.math.sfedu.ru.) It will be useful to students, post-graduate students, scientists and engineers taking part in R&D of modern piezoelectrics, magnetic materials, composites, nano-structures and other advanced materials, as well as different devices demonstrating broad applications in different areas of science, technique and technology. 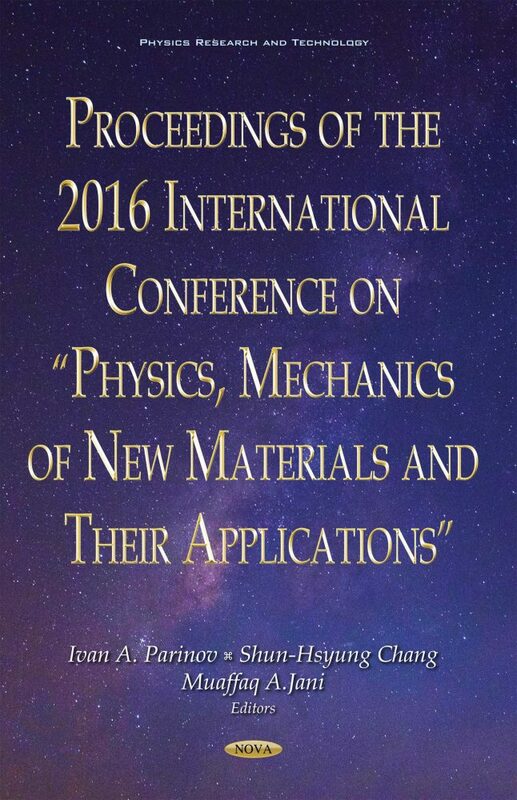 The book includes new studies and results in the fields of materials science, condensed matter physics, physical and mechanical theory and experiments, processing techniques and engineering of advanced materials and composites, numerical methods, and also different applications (including industrial) of developed devices and goods, investment approaches and management issues appropriate for these areas. The book could be a base for some University courses in the fields of Condensed Matter Physics, Materials Science, Physical and Mechanical Experiment, Processing Techniques and Engineering of Nanomaterials, Piezoelectrics, other Advanced Materials and Composites, Numerical Methods and also different applications, developed devices and goods. Researchers, engineers, students, post-graduate students and their teachers, scientists and engineers, taking part in R&D of nanomaterials, piezoelectrics, magnetic and other advanced materials, and also different devices can discovery many interesting methods, approaches and results, obtained by modern science. The presented nano- and piezoelectric technologies, materials and applications could be interesting for industries. The developed models of management are important for corresponding specializations.